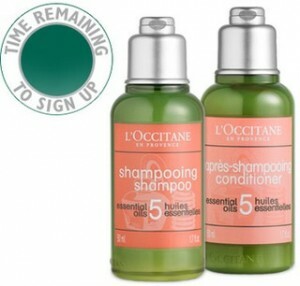 Get a free L’OCCITANE Haircare Duo sample at L’OCCITANE Stores. Like the Facebook page to receive a 50ML Hair Care Duo sample. Print and bring your email voucher in store.